Need to stretch your apps budget? 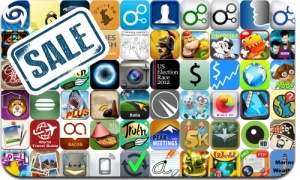 Here are 61 iPhone, iPad and iPod touch apps that just went on sale. This app deal alert includes Discovr Apps, Abba Bola, Toy Defense, European War 3, Extreme Fishing 2 Plus, Gold Miner, Blocks of Pyramid Breaker, Grooh, Discovr Movies, Skrappy, Photo Table, PhotoToaster, iTeleport, and many others.